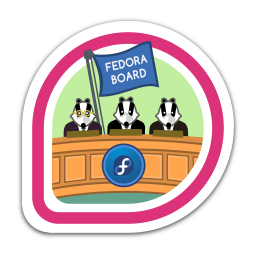 You have been a member of the Fedora Board! First earned by rbergero on 2017-09-07. Last awarded to yn1v on 2019-01-02.